Learn to create blocks of color and colored images on crochet pieces using two crochet techniques; Instarsia Crochet and Cross StitchCcrochet. These techniques are quite different from one another in how they are achieved, but produce a similar result. The two heart blocks shown allow you to visually see the difference between the two methods. Intarsia is a technique where different colors of yarn are worked throughout the piece. This creates blocks of color worked as a whole cloth. Each color is a separate ball of yarn attached to the backside of the piece. It is not uncommon to have multiple balls for the same color to easily crochet the intarsia piece. The multiple balls of yarn means there is no carrying of yarn strands along the back of the piece as you would with a fair isle project. The instarsia technique has you picking up the yarn color at the same spot in each row to create simple or intricate images by crocheting actual stitches with each color. Intarsia is sometimes called tapestry crochet because of the tapestry effect it creates. This method can be accomplished by a confident beginner or higher skill level. In contrast, cross stitch crochet creates an image or design on the crochet piece by using the cross stitch needlepoint method. A solid background piece is crocheted with a basic stitch such as single or double crochet. Each cross stitch “X” is made over top of one stitch in the background, similar to cross stitching on needlepoint fabric. The cross stitches are not solid and the background may show through, which isn’t the case with intarsia crochet. Cross stitch crochet is ideal for the beginner crocheter. Rows 2-13: Ch 1, turn, sc in each sc across. At the end of Row 13, do not turn. Rnd 1: Ch 1, 3 sc in last sc of Row 13, * work 11 sc evenly spaced along sides of Rows * , working in unused lps of starting ch, 3 sc in first lp, sc in next 11 lps, 3 sc in last lp; rep from * to * once more, 3 sc in first sc of Row 13, sc in next 11 sc, join with sl st to first sc. Finish off. Using Cross Stitch Embroidery Diagram and Graph below cross stitch the heart design to the solid background. The video below will help you see how this is done. Edging Rnd 2: With right side facing, join W with a sc to the center sc of any corner, ch 1, (sc ch 3, sc) in same st, * ch 3, skip next sc, (sc in next sc, ch 3, skip next sc) six times to next corner, (sc ch 3, sc) in next corner; rep from * around to last corner; join with sl st to 1st sc, finish off and weave in ends. Using textured yarns or multiple strands of yarn adds a creative touch to both of these methods. 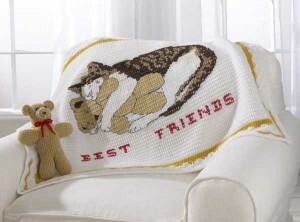 An example of textured yarns is visible on the “Best Friends” afghan made in the cross stitch crochet method. 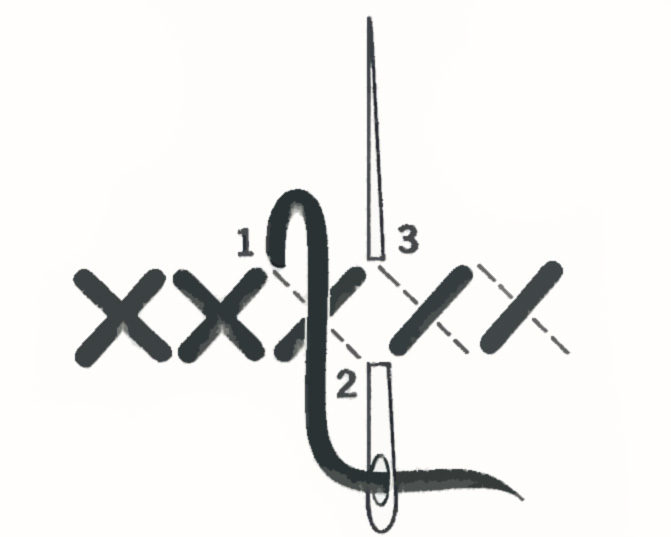 The white yarn gives the cats a furry appearance and fills in the open space of the “X” stitches. Multiple yarn strands work in a similar manner by giving that color a thicker appearance for texture and dimension in the piece. Click the image to see pattern details and purchasing information. 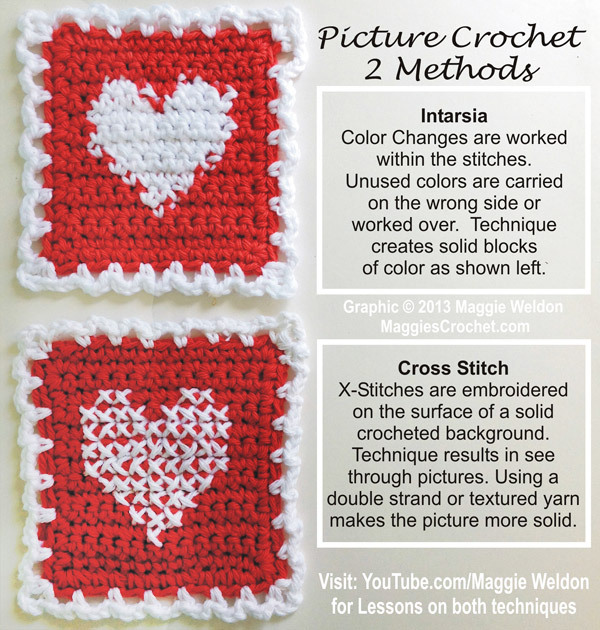 Experiment with intarsia and cross stitch crochet to see which method you prefer. 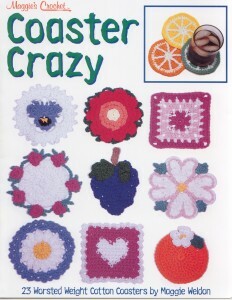 Practice your stitches using the Coaster Crazy Leaflet available at Maggie’s Crochet. Click the image to view product details and purchase Maggie’s coaster set designs. Here are links to the Heart Coaster Videos – how to do an intarsia stitch with the Free Heart Coaster Pattern. 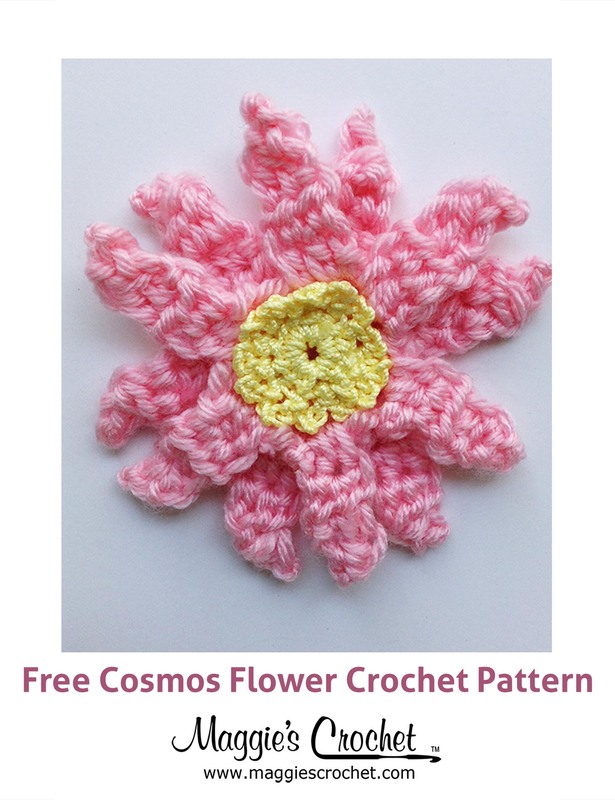 If you liked this post, learn how to do the Shell Crochet Stitch with my video and blog post.